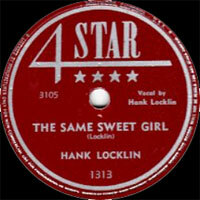 Chanteur Country US né Lawrence Hankins Locklin, le 15 Février 1918 à Mc Lellan (Floride). 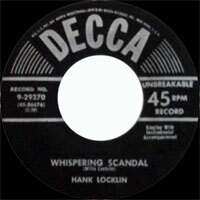 Hank Locklin a débuté en 1942 en Alabama. Il a enregistré à partir de 1948 chez Gold Star pour passer ensuite chez RCA Records. Il est décédé le 8 Mars 2009 à Brewton (Alabama). Locklin was exempted from military service due to his old leg injury, and during World War II he began playing guitar in various bands around Mobile, Alabama, and also started singing and writing songs. His Vocals style was originally influenced by Ernest Tubb, but he later began developing his own approach to singing. Late in the War, he joined Jimmy Swan's dance band as a guitarist -- whose ranks included Hank Williams sitting in occasionally -- and he spent much of 1945 and 1946 playing gigs across the Southeast, from Florida to Alabama. It was Locklin's association with a group called the Four Leaf Clover Boys that led to the formation of his first group. 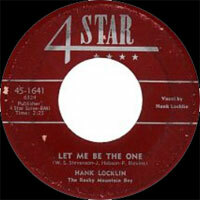 In the wake of their breakup, Locklin formed the Rocky Mountain Playboys in 1947. 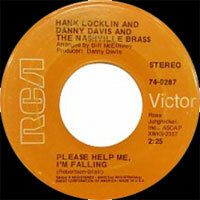 The group's lineup later changed radically, but it was this original outfit -- Locklin on Vocalss and guitar, Clint Holmes on rhythm guitar, "Tiny" Smith on bass, Felton Pruett on steel guitar, and Douglas "Dobber" Johnson playing fiddle -- that got Locklin his first break. They were popular on the radio, and were sponsored by wealthy businessman Elmer Laird, who was also a songwriter. Laird proposed starting a record label around Locklin and the group with his songs, but he died in a stabbing incident on the eve of Locklin's first recording session. 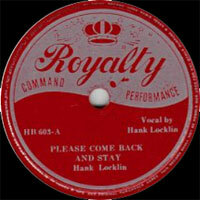 They soldiered on, recording for Gold Star and later Royalty without much success, and eventually the band broke up (Holmes and Pruett hooked up with Hank Williams soon after). Locklin ended up based in Houston and signed to Four Star, where he had his first major regional hits with such songs as "The Same Sweet Girl" and "Send Me the Pillow That You Dream On." 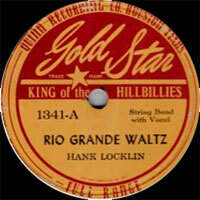 In those days, Locklin's sound was that of Texas-style dance band, and lacked the smooth, romantic commercial veneer of his later Nashville-based recordings for RCA. 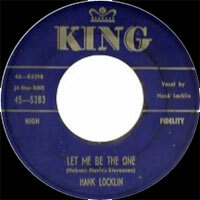 In 1953, he finally achieved national recognition with a number one country hit, "Let Me Be the One." His success, however, was still sporadic, particularly in the face of an awkward contractual arrangement that had Locklin recording for Decca but belonging to Four Star and largely restricted to recording Four Star-owned songs. This didn't change until 1955. His career took off when he joined the RCA Victor label in the spring of 1955. 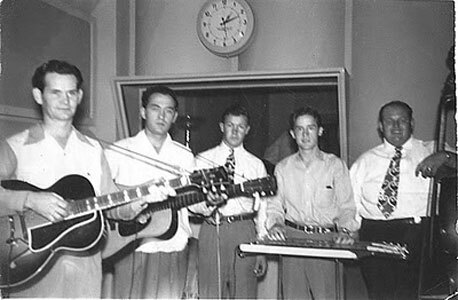 Locklin's work with RCA has the added advantage that almost all of it was produced by Chet Atkins, often with Atkins himself on rhythm or lead guitar and with the added trills and fill-ins of Floyd Cramer on piano. The extreme simplicity of his early works makes the combination of his clear voice and these particular sidemen very effective. 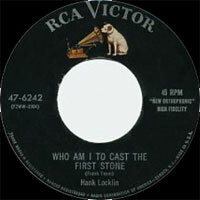 Everyone knows Locklin's big hits -- "Send Me the Pillow That You Dream On" (written by Locklin), "Geisha Girl," and "Please Help Me I'm Falling" -- but real fans are in love with his very simple heartfelt tunes like "Who Am I to Cast the First Stone," "A Good Woman's Love," "Seven or Eleven," "I'm Tired of Bummin' Around," "Golden Wristwatch," "Sitting Alone at a Table for Two," and many others. These early songs are characterized by Locklin's crystal-clear tenor, the ultra-simplicity of the songs themselves, and their straight-to-the-heart emotional plea. (Kitty Wells has this same kind of gift.) The result is a group of incredible songs that, first released as singles, later became available on Camden, RCA's budget label. After many years of neglect, many of these songs became available on the Bear Family box set Please Help Me I'm Falling. 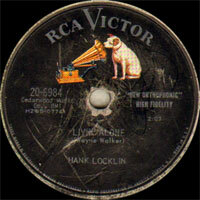 Locklin stayed with the RCA label until the mid-'70s. 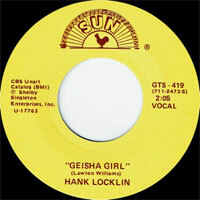 Locklin helped pioneer the idea of concept albums; his albums Foreign Love and Irish Songs, Country Style are examples. He also recorded an album tribute to Roy Acuff, A Tribute to Roy Acuff, King of Country Music. His Irish songs are pretty near definitive. As time goes by, the Vocals chorus begins to creep into the Locklin albums a little more than purists might like, but his crystal-clear tenor never deserts him. 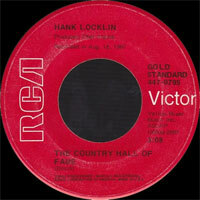 Locklin hit the Top Ten charts again in the 1968 with "The Country Hall of Fame." In the 1970s he toured overseas often, was very popular in Ireland and Great Britain, and made at least one tour with Chet Atkins to Japan. After leaving RCA, he went on to record for a number of labels including MGM and Plantation, and his final album, his 65th, The Grace of God: The Gospel Album, appeared in 2006. 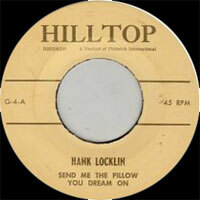 Locklin retired and lived in Brewton, Alabama, only some 20 miles from his birthplace, until his death on March 8, 2009. 11/1976 SP PLANTATION PL-151 (US) . You Love Me Don'cha / ? 1977 SP PLANTATION PL-155 (US) . 06/1977 SP PLANTATION PL-160 (US) . There Never Was A Time / ?